Happy Birthday Smokey The Bear! About 65 years ago, a little bear cub was caught in a forest fire. He survived by climbing a burnt tree, scorching his fur and burning his paws and legs. Firefighters found him and he was nursed back to health. Smokey Bear became a national hero and a symbol of how important it is to be careful with fire. When I taught first grade, Smokey Bear visited my classroom. I bet he still makes school visits! Thanks to Ben for his fun blog about my new Keyholders series! I'm glad you like This Side of Magic. 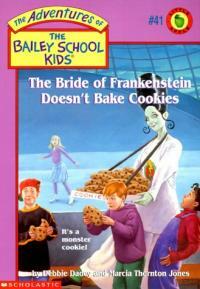 Jada, I'm really glad you enjoyed The Bride of Frankenstein Doesn't Bake Cookies. Suddenly, I feel really hungry for a cookie. Sarah, you and your friend are awesome readers! Your Ghosts Don't Garden sounds like great fun. You can send it to me in care of Scholastic at 557 Broadway NY, NY 10012. Sophia, I think you should write your fairy story. Jordan, your dad is right about Rock and Roll sounding better as rock n'roll, but publishers are sometimes particular about spelling, so that's why we went with rock and roll. I'm so glad you liked Dracula Doesn't Rock and Roll. Thanks George, you made my day. 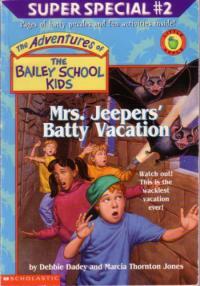 I wish you good luck in college and I'm pleased that I'm part of happy memories, along with Mrs. Jeepers Batty Vacation. If you live near Princeton, New Jersey, I'll be doing a booksigning at the Chicket Book Festival on Sept. 19th at the Princeton Shopping Center. I'll be doing a reading/talk at 11:15 and a signing from 12-2. Hope to meet you there! Maybe you can cheer me up-I just got a rejection for a story I've been working on. Bummer. It's back to school time! New pencils and new shoes. New teachers and new friends. I hope this year will be the best year ever for you. It's exciting and sometimes a bit scary-but most exciting things are a bit scary, aren't they? 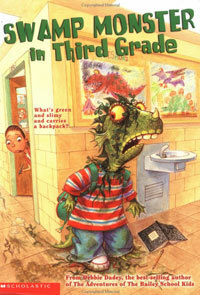 You might like to check out some of my back-to-school stories. Hopefully you won't have any swamp monsters in your class! Of course, if you're like Fred you're in a whole other hemisphere and are looking forward to summer vacation soon. Fred, I hope I get to visit your side of the world one day! Hi Sonja, the book that Marcia and I wrote before I moved to Texas was Frankenstein Doesn't Plant Petunias. It was very sad when I moved because we didn't think we'd ever write another book, but we did! Now we use email to write together. My summer was mostly about doing rewrites. My daughter, Becky, and I rewrote a story. I rewrote a story by myself. Marcia and I rewrote a proposal and wrote a story. Now, I'm rewritting my silly story. Wouldn't I love it if I could write it once and it could be perfect? Of course, I know the stories are always better when they are rewritten. 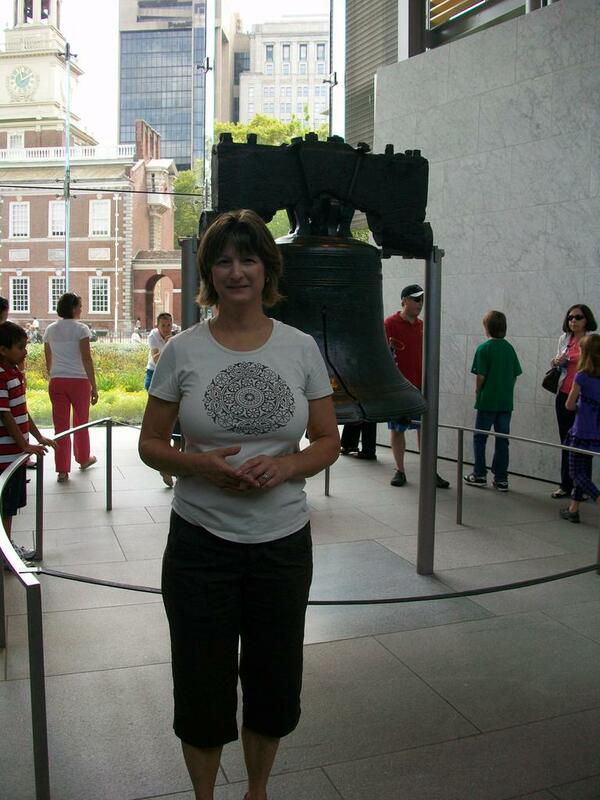 Speaking of summer, here I am at the Liberty Bell in Philadelphia, Pennsylvania. I just went today with my family. Now, I only have one thing left on my summer 'to do' list and that's to work on a story idea I have. I think I did pretty well with my list. How did you make out with yours? When I was little there were no DVD or VHS video players. The only movies we got to watch were on TV or at the movie theatre. 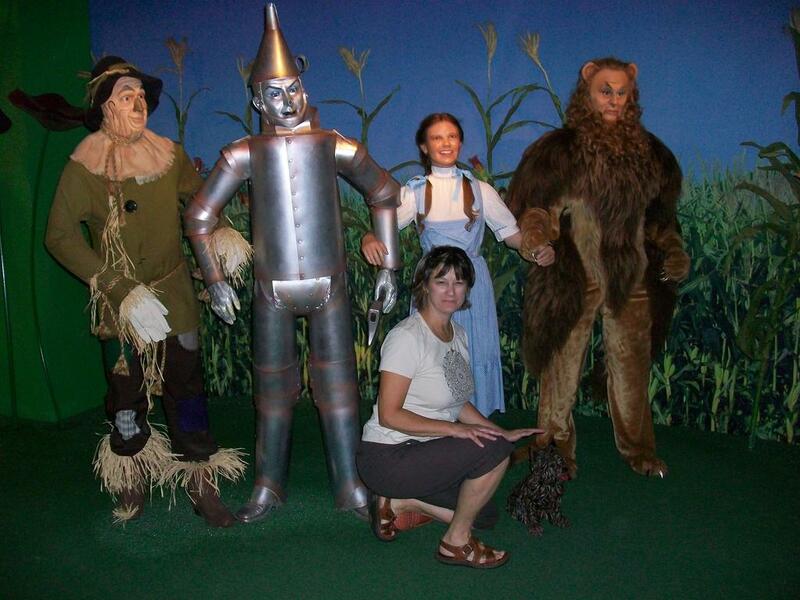 Once a year, The Wizard of Oz movie always played on TV. It was a big deal and everyone watched it. It was very high tech at the time. August 25th is the 70th anniversary of the movie. Did you know that the Wizard of Oz is based on one of whole series of books written by a man named Frank Baum? In fact, a lot of movies are based on books. I must admit I usually like the books better than the movies. John, I'm glad you like the Bailey School Kids books. 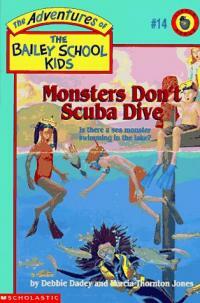 Marcia and I were very lucky to have Scholastic buy the first one and then turn it into a series. I wish you and your brother luck. Marcia and I just finished writing a fun story together, but it's not a Bailey School Kids book. Want to appear in a magazine? 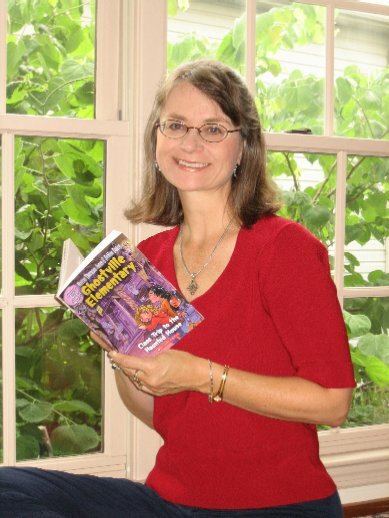 You could be in Storyworks magazine. All you have to do is read a book (one of mine, I hope), write 1-2 paragraphs about what you liked about it and a few details about what happened, send in your photo and you could be in Scholastic's Storyworks next issue. Sign your name at the bottom of your review and send it to REVIEWS BY YOU Storyworks PO Box 712 New York, NY 10013-0712. (Remember to include your name, age, teacher's name, school's name and address, and school's phone number.) Good luck! Yikes! It's me and Dracula. I'm hoping that's as close as I ever come to a vampire. Actually, this Dracula has wax in his ears. In fact, he's all wax. 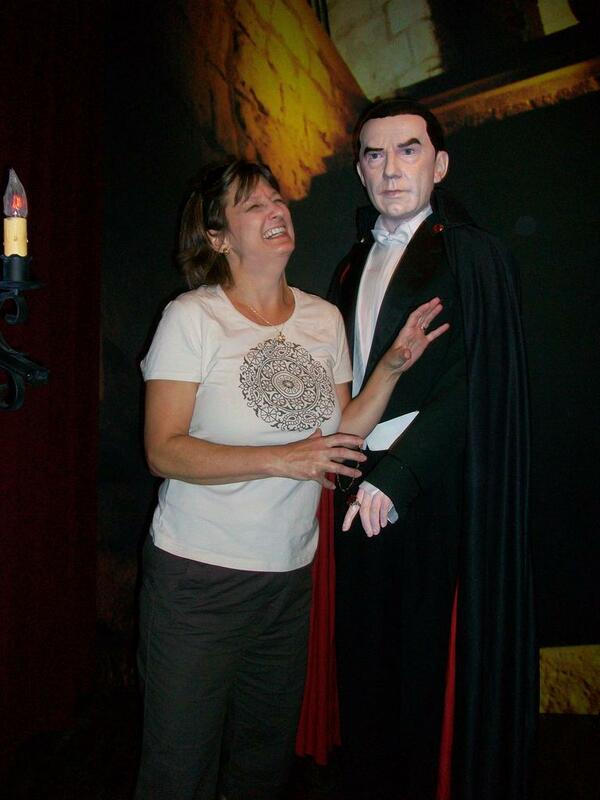 He was in a cool wax museum in Gatlinburg, Tennessee. I must like Dracula though because I've written several books about him. 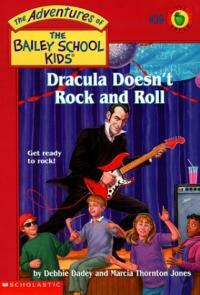 One of my favorites is Dracula Doesn't Rock and Roll. Hi! 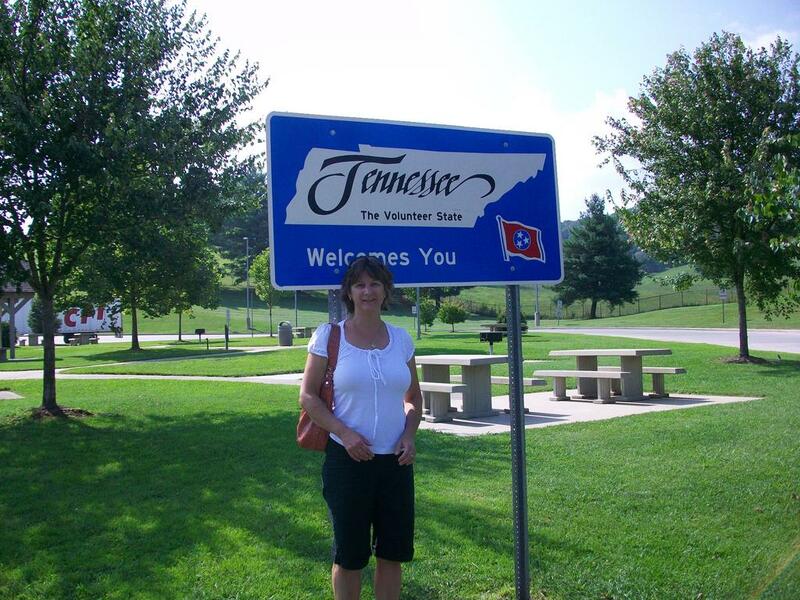 I just got back from the Smoky Mountains in Tennessee. I got to hike, have a family reunion, and visit some friends. I'll be putting some of their pictures on my homepage and in my photo album. Helen, it's good to hear from you. See you soon. Jerry, I have heard of the authors you mentioned. Margarett Mitchell is one of my favorites. Yes Katie, Marcia is my best friend. Bill, it's hard to pick my favorite character from the Bailey School Kids, but I must admit that I do have a soft spot for Eddie. Sonja, there are several different reasons why some series are written by different people. Sometimes the author starts a series and gets tired of it and wants someone else to help them. Sometimes the author dies and the publisher asks other people to continue the series. Sometimes the publisher plans the series and asks if authors are interested in writing some of the books. That's what happened with 39 Clues I believe. 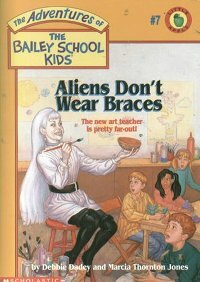 I'm glad you like the Bailey School Kids books. 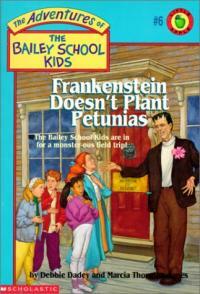 Have you checked out Frankenstein Doesn't Plant Petunias? 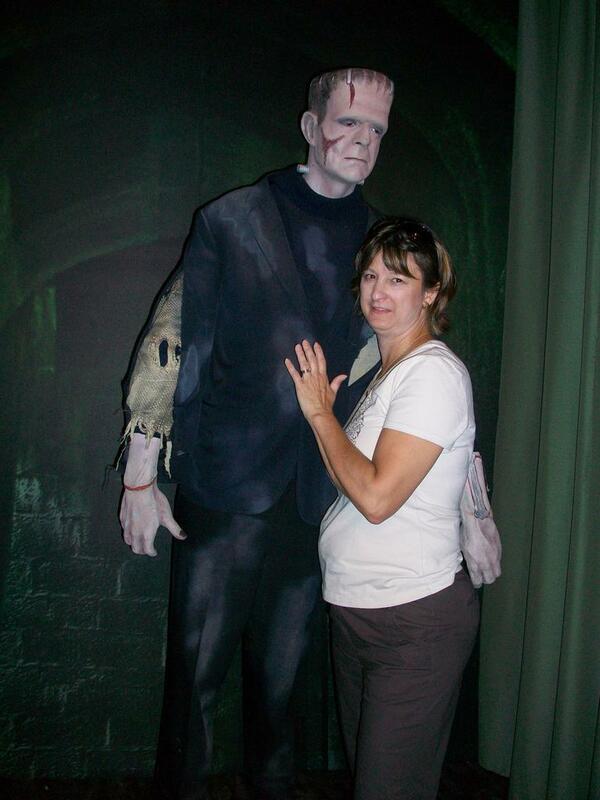 I was able to catch up with Frankenstein in Tennessee.